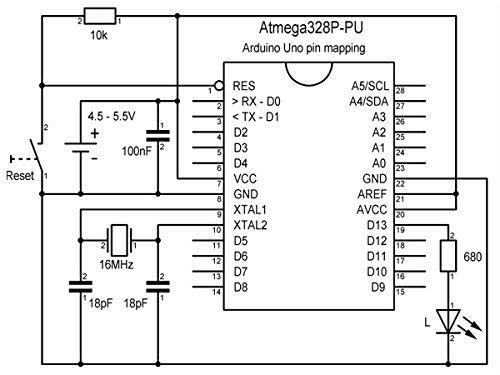 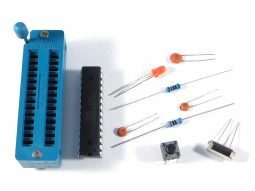 Categories: Arduino, Electronic DIY Kits, Electronic Prototyping. 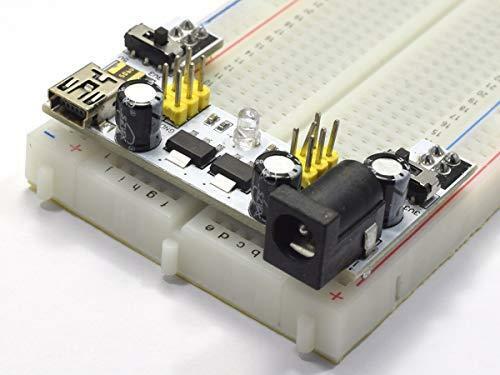 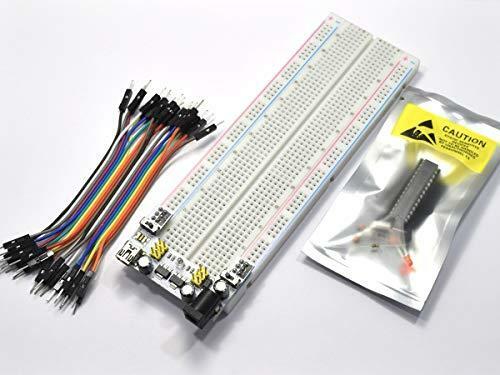 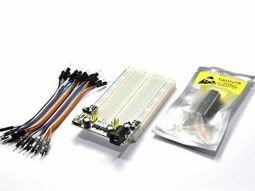 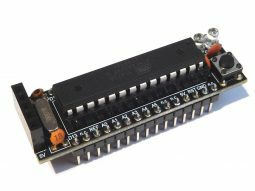 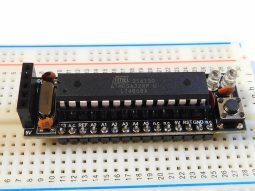 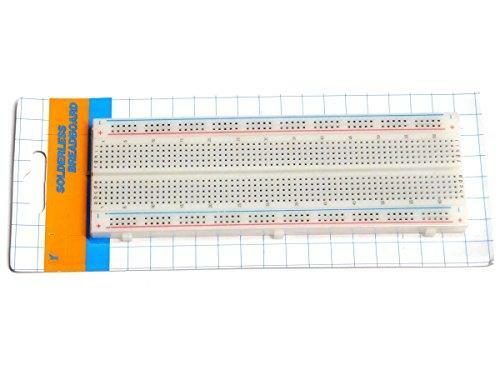 The all Inclusive Arduino Bread Board 830 Starter Kit Atmega328P contains a big 830 tie points breadboard, a bread board power supply with 3.3V and 5V output, and an Atmel Atmega328P with all necessary parts to start your bread board project. 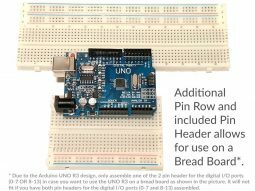 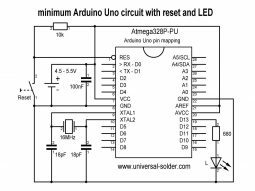 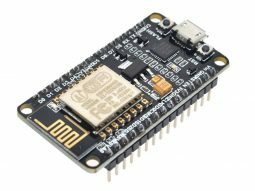 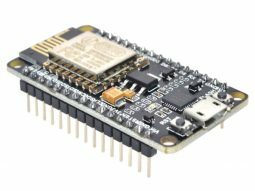 It includes exactly the same processor (MCU) which you will find on an Arduino Uno R3 development board, with the Arduino boot loader and the “blink” sketch already installed. 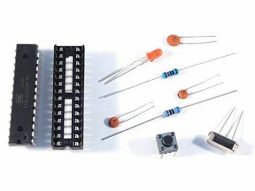 This kit includes 20 x jumper wire male-male 10cm. 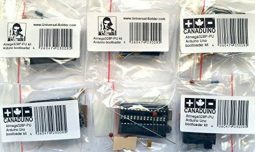 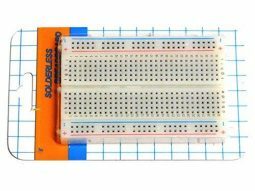 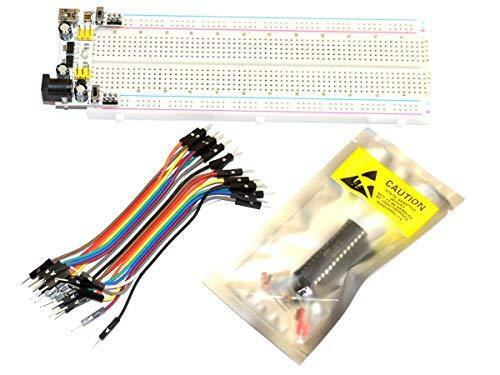 This is the perfect starter kit to bring your Arduino ideas to life.